She was comforted by wonderful memories and many expressions of support from colleagues and friends. 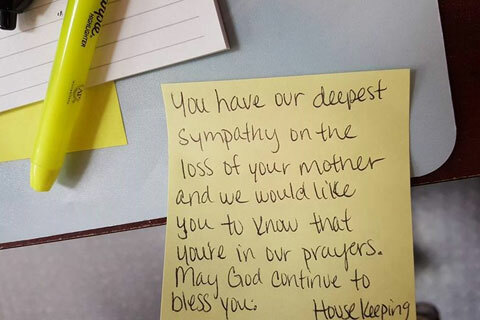 But perhaps the most poignant reminder of support came from this simple post-it note left on her desk by the housekeeping staff in her building. The world is better because, at Samford, we share a sense of calling to our work, regardless of our responsibilities.